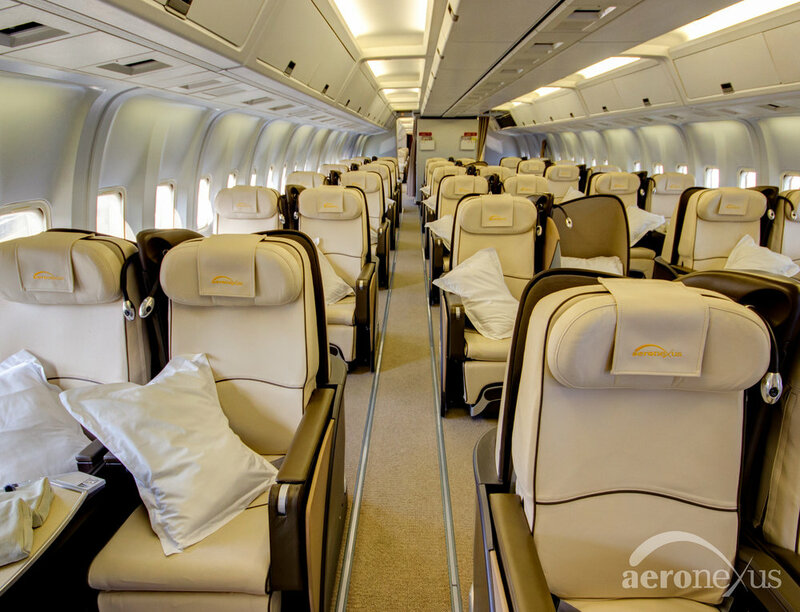 Aeronexus, since its beginning, has operated a number of aircraft, including a Boeing 727 VIP and two Boeing 767-200ER aircraft. One of the Boeing 767’s operated in an all economy 220 seat configuration and one in 100 all lie-flat seat configuration. In 2012 the Boeing 727 was taken out of service and the all-economy Boeing 767 sold. 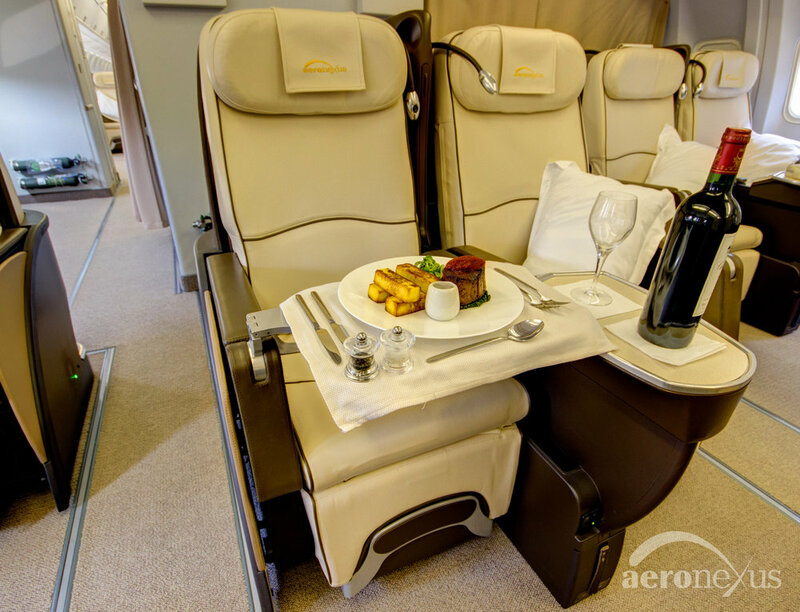 In October 2012 Aeronexus relocated their 100 seat VIP Boeing 767-200ER to the UK to meet the growing demand in the European long-haul VIP market. In late 2015 the VIP Boeing 767-200ER was replaced by a Boeing 767-300ER. 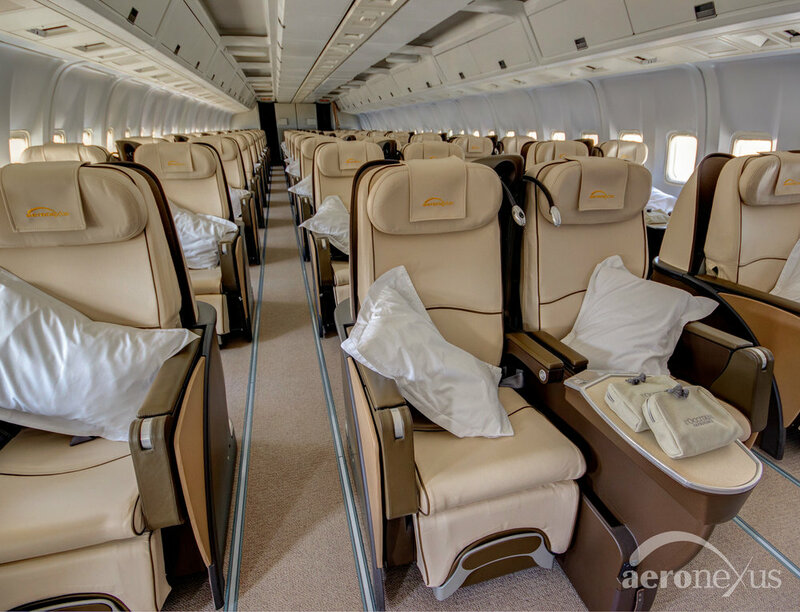 The aircraft was fully refurbished in early 2016 and fitted with 96, all-leather, first-class, lie-flat seats. 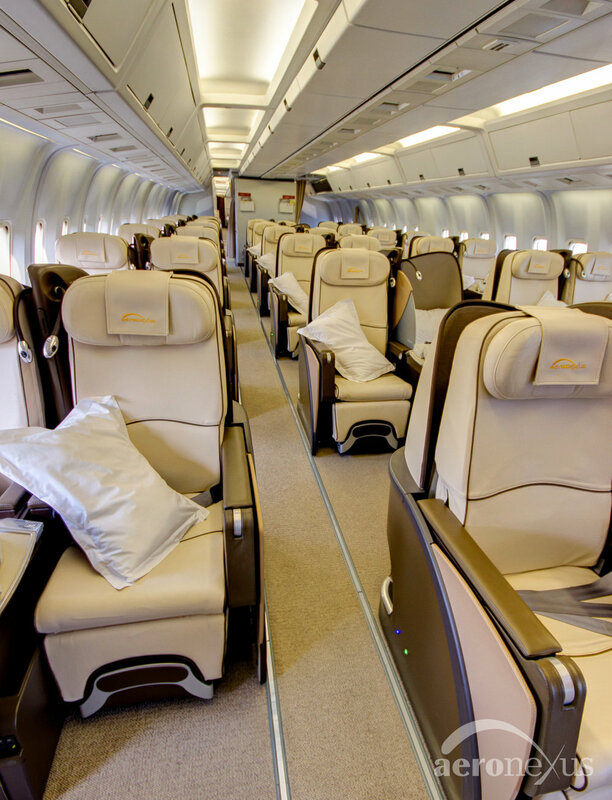 96 First Class, all lie-flat leather seats in a six-abreast layout. 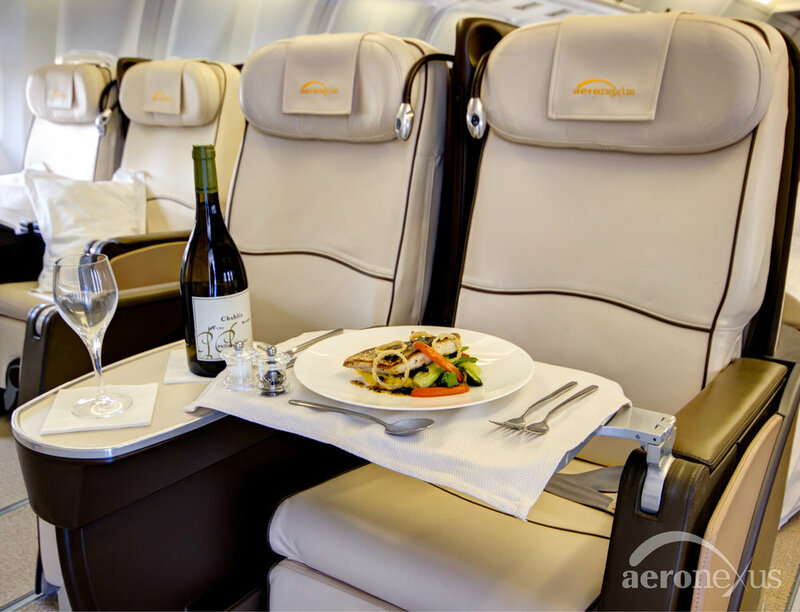 Inflight entertainment is provided through a wireless entertainment system, allowing guests to use their own tablets, smart phones or laptops to access a wide variety of movies, music, magazines and more. Each seat has a power point to charge devices. Leather couch, convertible to a comfortable bed, in a discreet, private screened area aft of the front cabin. Ability to operate out of many Regional and major International airports. Approximate range is 6,500 nm – non-stop London to Rio de Janeiro for example. USA and Canadian Foreign Operators Approval held. 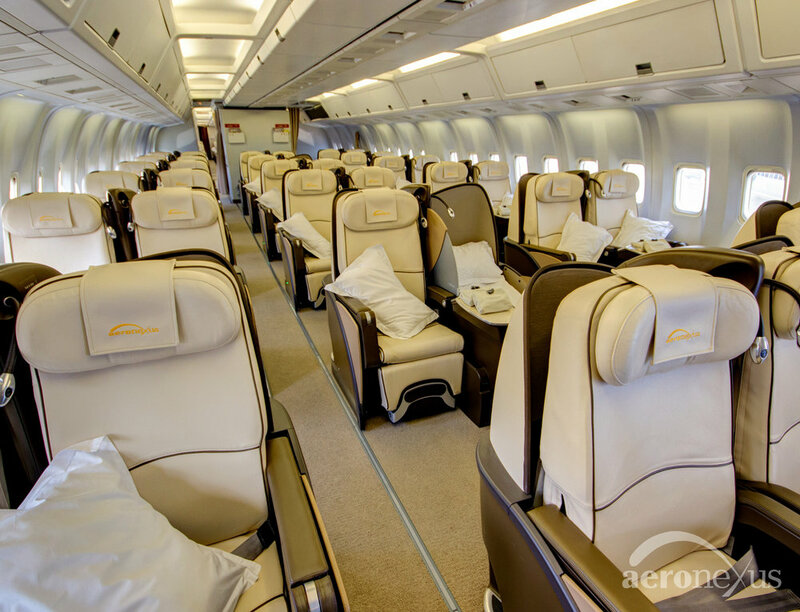 The aircraft operates with two or three pilots, an engineer, a flight manager and 6-8 cabin crew. Aircraft livery and interior can be branded with corporate/event branding.